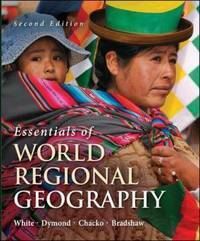 This shorter version of the highly successful "Contemporary World Regional Geography, 3e" gives readers a fresh new approach that combines fundamental geographical elements, internal regional diversity, and contemporary issues. This approach allows serious discussion of cultural and environmental issues, as well as political and economic issues. The main innovation in this completely rewritten text is in the ordering of the material covered. While other texts cut photos, illustrations, and boxed material from their WRG books, this essentials version is a completely rewritten text by the authors of "Contemporary World Regional Geography, 3e". Each of the nine regional chapters opens with a one- or two-page map of the region, short accounts of people or events to provide a personal flavor of the region, an outline of the chapter contents, and a short section placing the region in its wider global context. Each regional chapter is consistently organized by three sections. 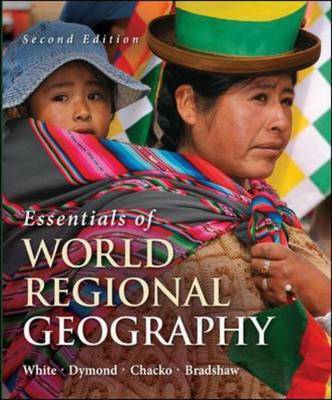 The first section summarizes the distinctive physical and human geographies of the region; the second section explores the internal diversity of the region at subregional, selected country, and local levels. The third section focuses on a selection of contemporary issues that are important to the people of each region and frequently have implications for the rest of the world. Each regional chapter follows the same framework, allowing students to easily make comparisons from one world region to the next. Students are encouraged to consider what it means to be part of a global community and to develop their geographical understandings of world events. The authors have created a text that is readable, with a consistent structure within chapters, containing superior maps and illustrations, and finally - to offer a concise and more affordable text.